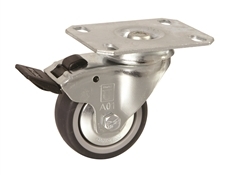 Die-Pat plate fitting institutional castors with grey TPE tyre. 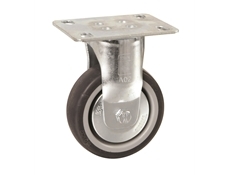 These plate fitted castors are available in diameters: 75mm, 100mm, 125mm offering a load capacity of: 75kg - 100kg. 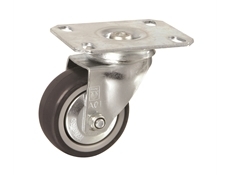 These castors are available in swivel, braked and fixed options.